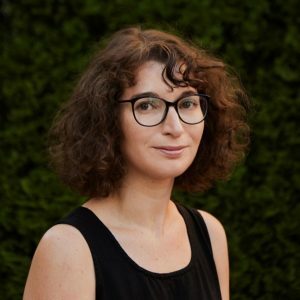 Alana Hein is a Ph.D. candidate in history at Columbia University, specializing in Russian and European intellectual history. Her dissertation, The Creative Word: Magic, Modernity, and Anti-Western Messianism in German and Russian Poetic Circles, 1900-1933 (working title), uses the example of literature to show how modern theological commitments can make radical anti-liberal politics seductive to arbiters of culture. Alana's research interests include modern religiosity, the formation of political communities, and understandings of temporality. This year she is a Core Preceptor in Contemporary Civilization. Review of Russian Silver Age Poetry, by Sibelian E.S. Forrester and Martha M. F. Kelly, Ulbandus: the Slavic, East European, and Eurasian Review of Columbia University, vol. 17, 2016. pp. 182-184. This is Alana's second year as an instructor in Contemporary Civilization. She previously spent two years teaching as a TA in the History departments at Columbia and Barnard. Before beginning graduate school she worked as an instructor of English as a Foreign Language in Russia, and she has also tutored high school students in college readiness. Alana's dissertation research has been made possible by the Fulbright U.S. Student Program.